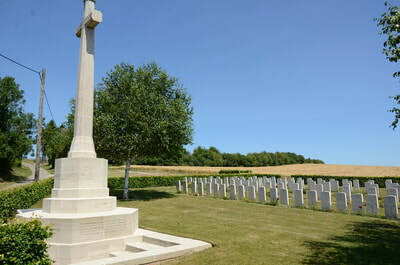 Harponville is 3 kilometres along the D47 north of Contay towards Varennes. 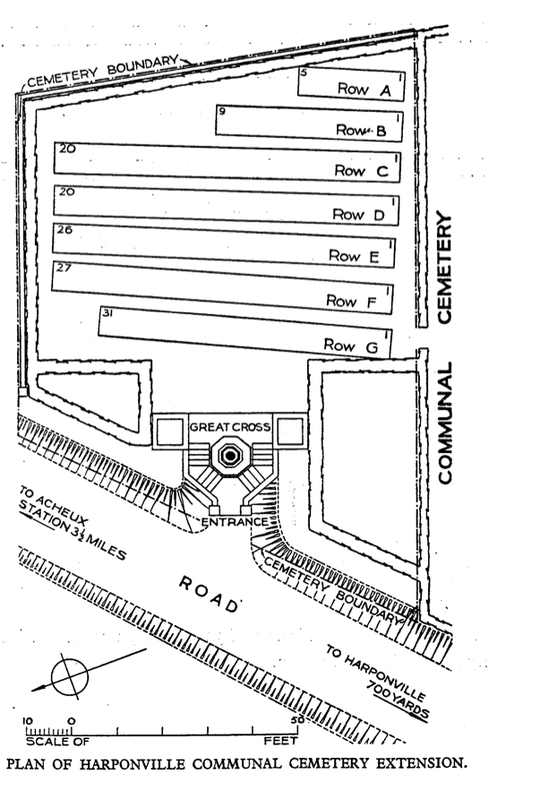 The cemetery will be found at the end of the main street, turning right at the church for 200 metres. The Communal Cemetery Extension is north of the Communal Cemetery. 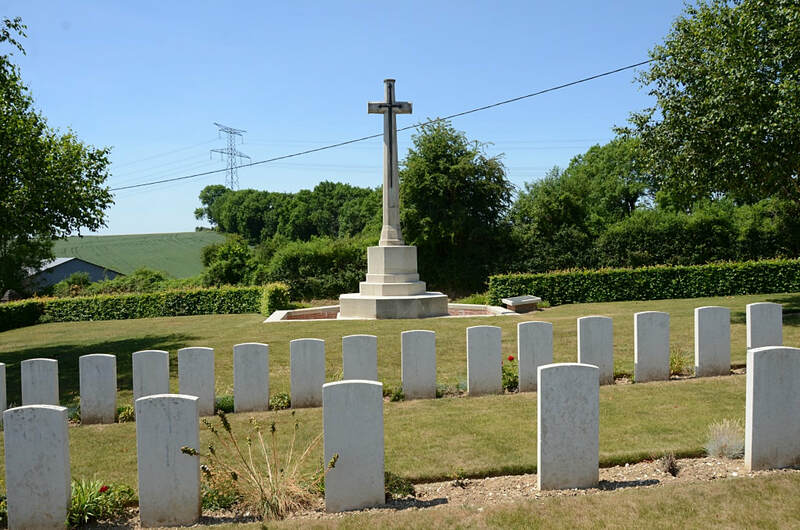 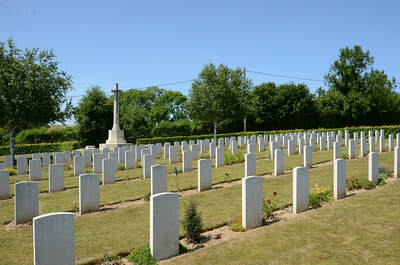 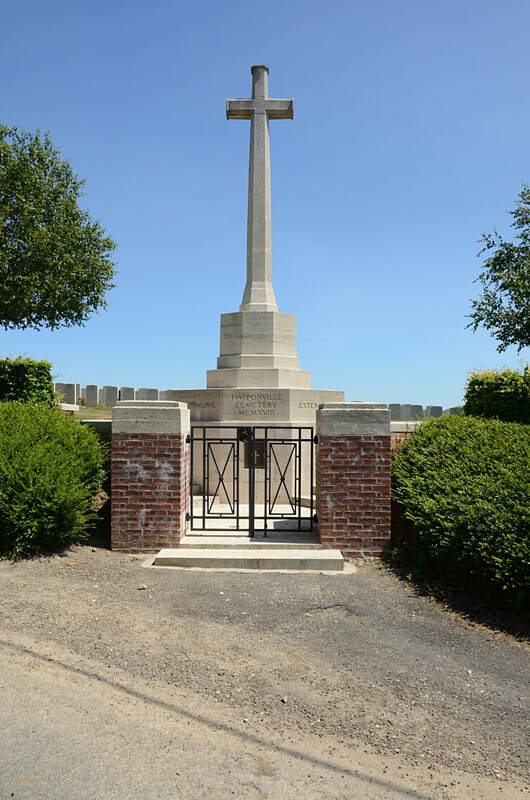 The Commonwealth graves at Harponville were made by fighting units during the German advance on the Somme in 1918. 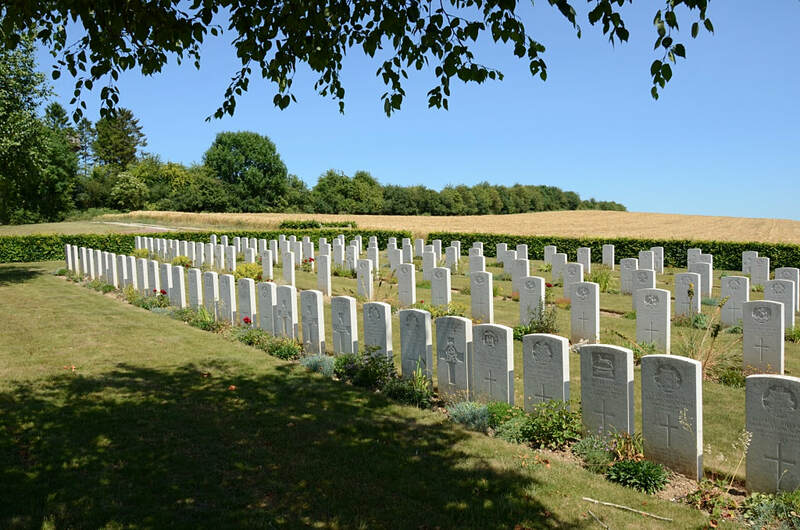 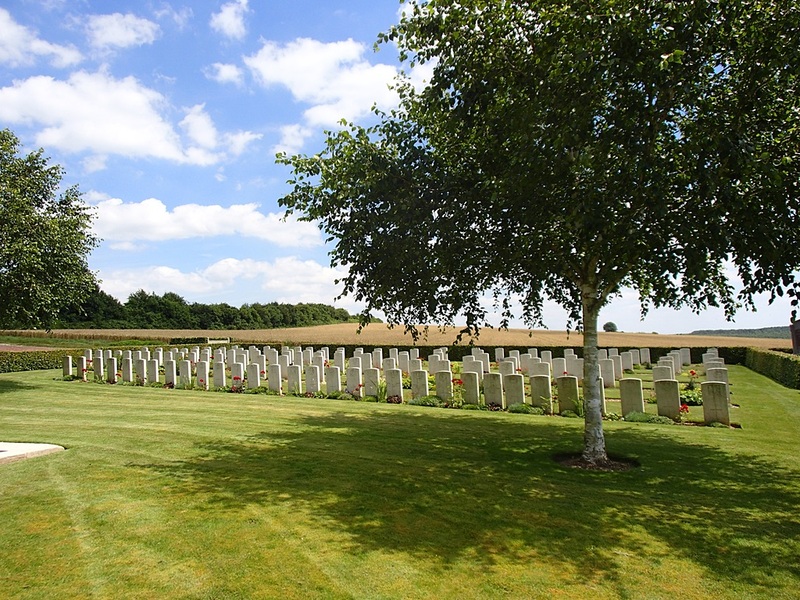 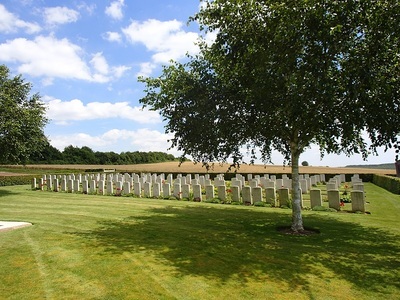 The 34 burials in the COMMUNAL CEMETERY date from April, May and early June 1918. 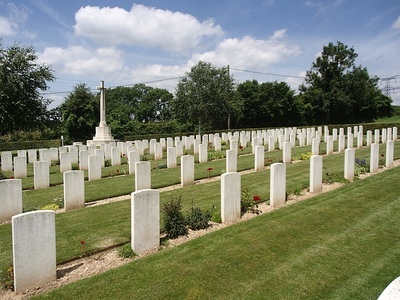 19 of the burials are of men of the Welch Regiment. 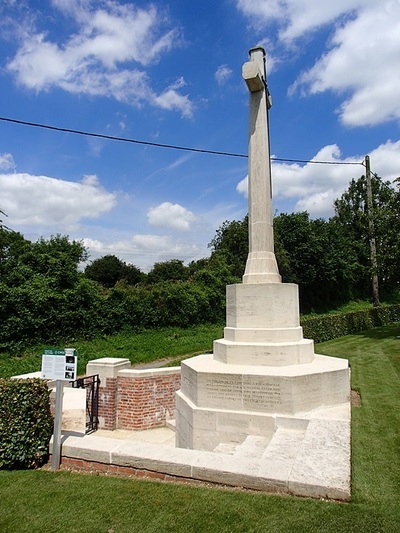 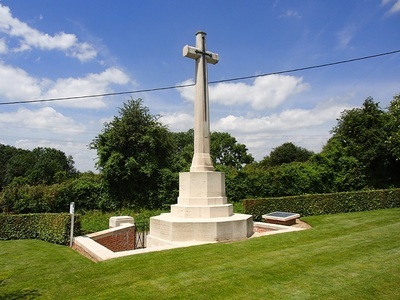 The EXTENSION contains 138 First World War burials, dating from June, July and August 1918. 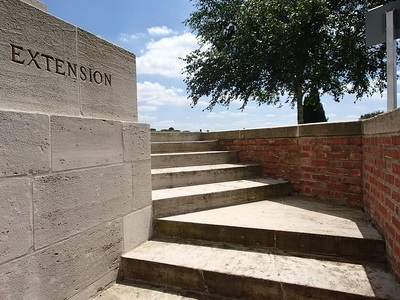 The extension was designed by N A Rew. 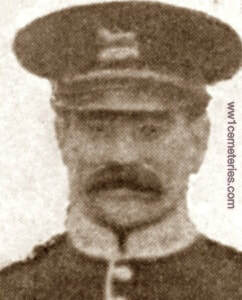 3rd August 1918, aged 30. Son of Alfred and Fanny Tibbert, of New Wood, Empingham, Stamford. 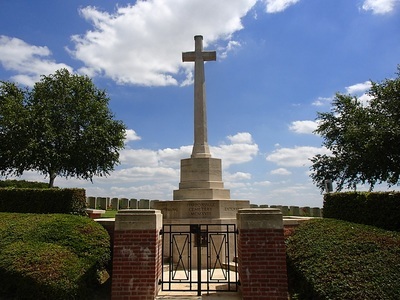 His headstone bears the inscription; "Blessed Are Those Which Die In The Lord And Rise In Eternity May He Rest In Peace." 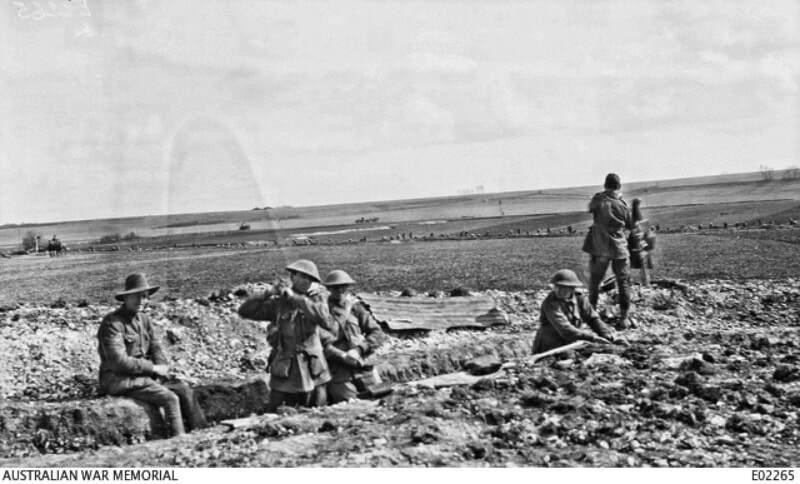 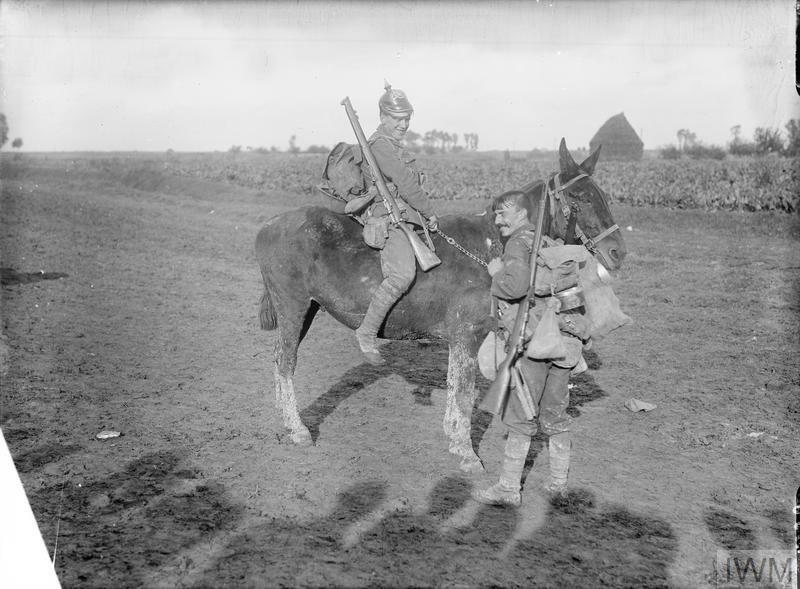 Men of the 53rd Battalion, 14th Brigade, garrisoning the reserve (GHQ) line at Harponville in the event of a further breakthrough, following the arrest of the German advance on Amiens by the Australian Corps on 27 March 1918. In the background, at left, British working parties can be seen digging further defence lines in the system hurriedly arranged to meet the contingency. 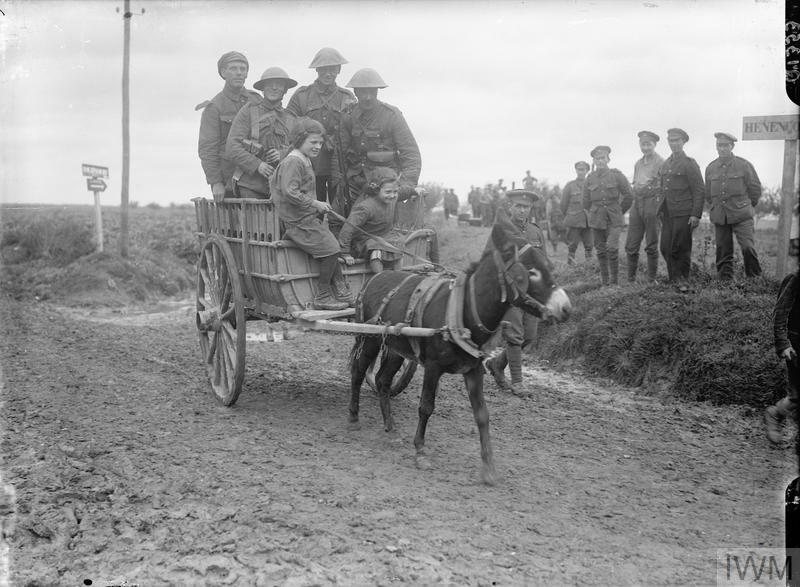 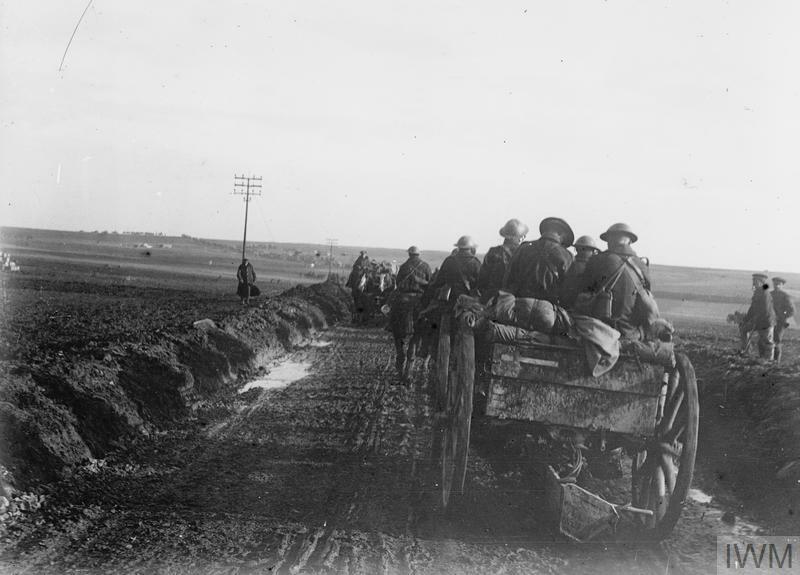 Standing to the right, in the trench, are Lieutenant J. Hastings, C Company, 53rd Battalion (third from right), and Sergeant Burke, C Company, 53rd Battalion (second from right). 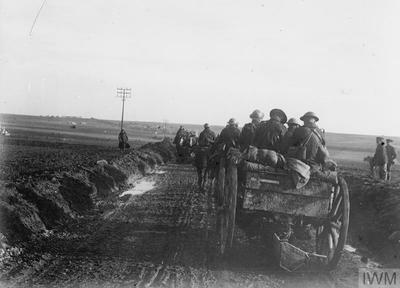 1st April 1918; Men of the 53rd Battalion of the 14th Infantry Brigade garrisoning a hurriedly dug reserve line during the critical days at the end of March and beginning of April 1918, when the Germans were making persistent attempts to throw aside the Australian defence and march on Amiens. 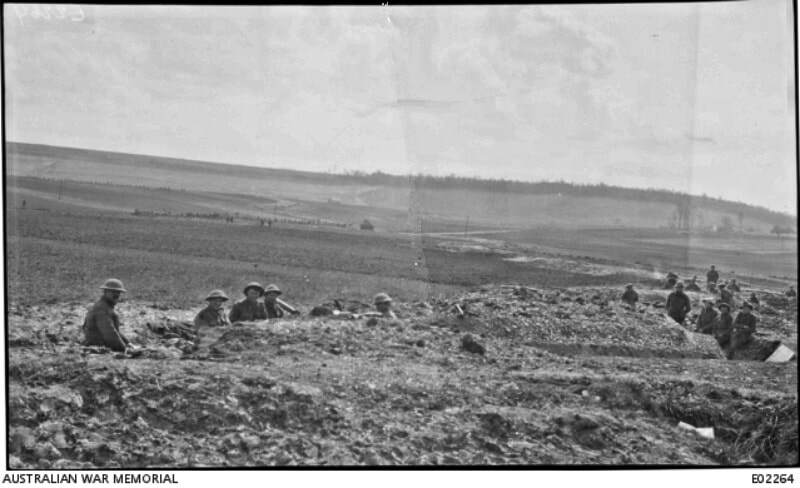 A British labour battalion can be seen digging trenches in the distance. 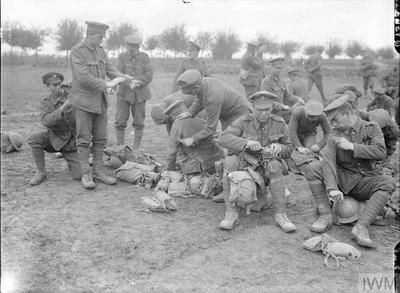 At left, sitting, is 1499 Company Quartermaster Sergeant Kenneth Kinross, C Company, 53rd Battalion.